Bionic Vision Australia researchers have successfully performed the first implantation of an early prototype bionic eye with 24 electrodes. 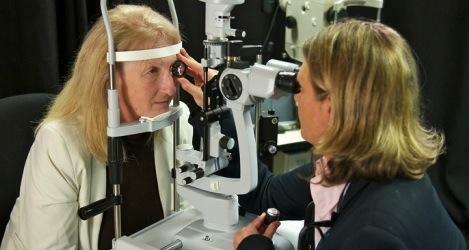 Dianne Ashworth has profound vision loss due to retinitis pigmentosa, an inherited condition. 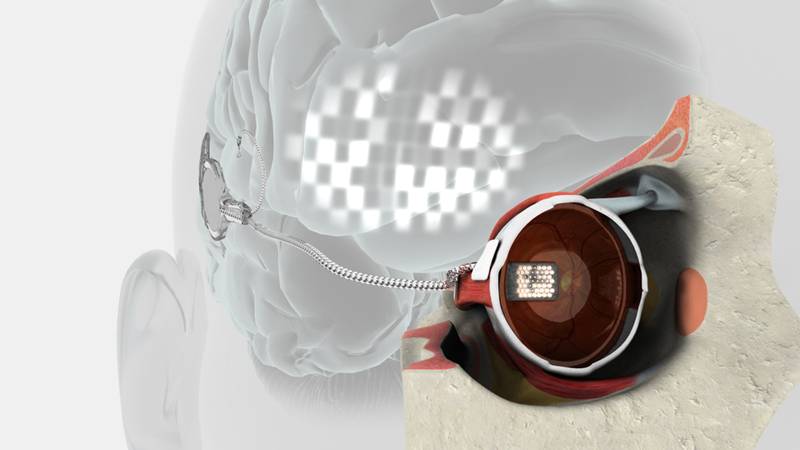 She has now received what she calls a “pre-bionic eye” implant that enables her to experience some vision. Her implant was switched on last month at the Bionics Institute, while researchers held their breaths in the next room, observing via video link. Professor Rob Shepherd, Director of the Bionics Institute, led the team in designing, building and testing this early prototype to ensure its safety and efficacy for human implantation. Cochlear technology supported aspects of the project. Dr Penny Allen, a specialist surgeon at the Centre for Eye Research Australia, led a surgical team to implant the prototype at the Royal Victorian Eye and Ear Hospital. “This is a world first — we implanted a device in this position behind the retina, demonstrating the viability of our approach. Every stage of the procedure was planned and tested, so I felt very confident going into theatre,” Dr Allen said. The implant is only switched on and stimulated after the eye has recovered fully from the effects of surgery. The next phase of this work involves testing various levels of electrical stimulation with Ms Ashworth. “We are working with Ms Ashworth todetermine exactly what she sees each time the retina is stimulated. The team is looking for consistency of shapes, brightness, size and location of flashes to determine how the brain interprets this information. “Having this unique information will allow us to maximize our technology as it evolves through 2013 and 2014,” Professor Shepherd said. 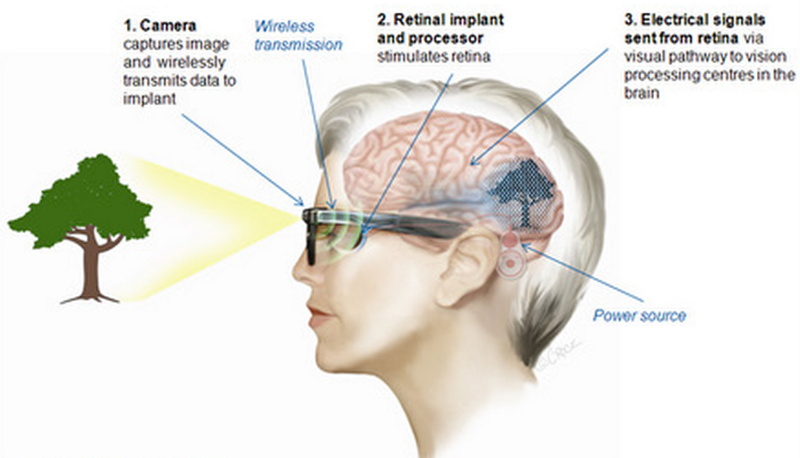 This early prototype consists of a retinal implant with 24 electrodes. A small lead wire extends from the back of the eye to a connector behind the ear. An external system is connected to this unit in the laboratory, allowing researchers to stimulate the implant in a controlled manner in order to study the flashes of light. Feedback from Ashworth will allow researchers to develop a vision processor so that images can be built using flashes of light. This early prototype does not yet incorporate an external camera. This is planned for the next stage of development and testing. Researchers continue development and testing of the wide-view implant with 98 electrodes and the high-acuity implant with 1024 electrodes. Patient tests are planned for these devices in due course. Bionic Vision Australia is a national consortium of researchers from the Bionics Institute, Centre for Eye Research Australia, NICTA, the University of Melbourne and the University of New South Wales. The National Vision Research Institute, the Royal Victorian Eye and Ear Hospital and the University of Western Sydney are project partners. The project brings together a cross-disciplinary group of world-leading experts in the fields of ophthalmology, biomedical engineering, electrical engineering and materials science, neuroscience, vision science, psychophysics, wireless integrated-circuit design, and surgical, preclinical and clinical practice. This research is funded by a $42 million grant over four years from the Australian Research Council (ARC) through its Special Research Initiative (SRI) in Bionic Vision Science and Technology.